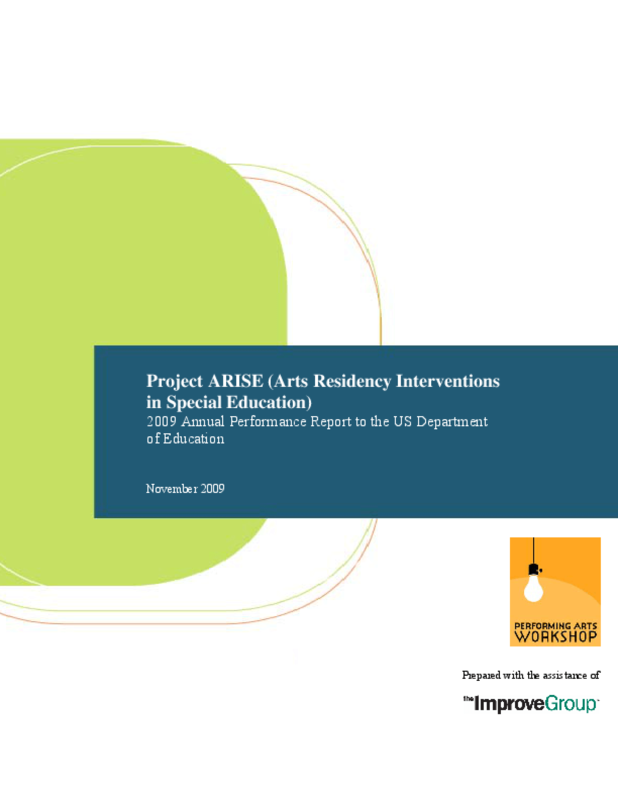 This report includes evaluation findings from the first of three years of data collection for the Performing Arts Workshop's ARISE Project (Arts Residency Interventions in Special Education). The ARISE Project offers public schools weekly artist residencies lasting between 25 and 30 weeks in theater arts and creative movement for third to fifth grade students. Classrooms participating in ARISE are identified as Special Day Classes or general education classes with special education inclusion (or mainstreamed) students. The ARISE residencies emphasize critical-thinking while engaging in the creative process. In the 2007-08 school year, the Workshop provided ARISE residencies to 24 classrooms from five schools within the San Francisco Unified School District. The report includes the ARISE program methodology; the evaluation methodology; background information on arts education for students in special education; results from the data collected during the 2007-08 school year; a discussion of factors that affect findings and program impact; and recommendations. The appendices to this report include our statistical analysis, data collection instruments, and informed consent forms. 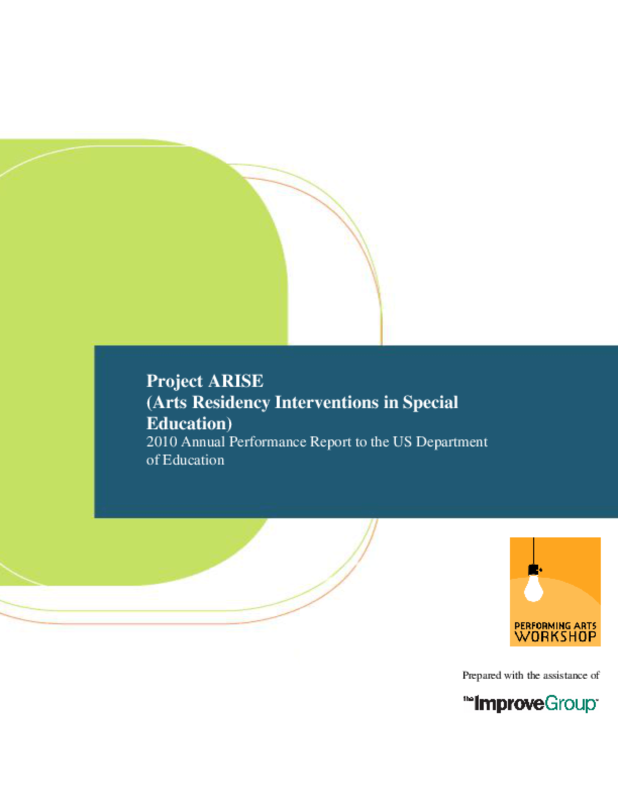 This is the first of three annual performance reports from the Performing Arts Workshop to the U.S. Department of Education about Project ARISE (Arts Residency Interventions in Special Education). 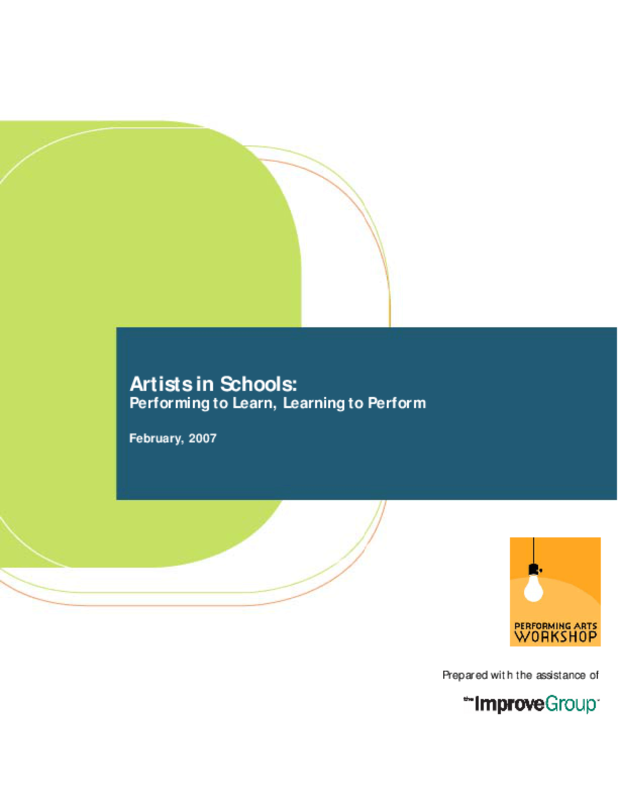 The report includes performance measure data for the Arts in Education Model Development and Dissemination (AEMDD) grants program. The ARISE Project offers public schools weekly artist residencies lasting between 25 and 30 weeks in theater arts and creative movement for third to fifth grade students. Classrooms participating in ARISE are identified as Special Day Classes or general education classes with special education inclusion (or mainstreamed) students. The ARISE residencies emphasize critical-thinking while engaging in the creative process. 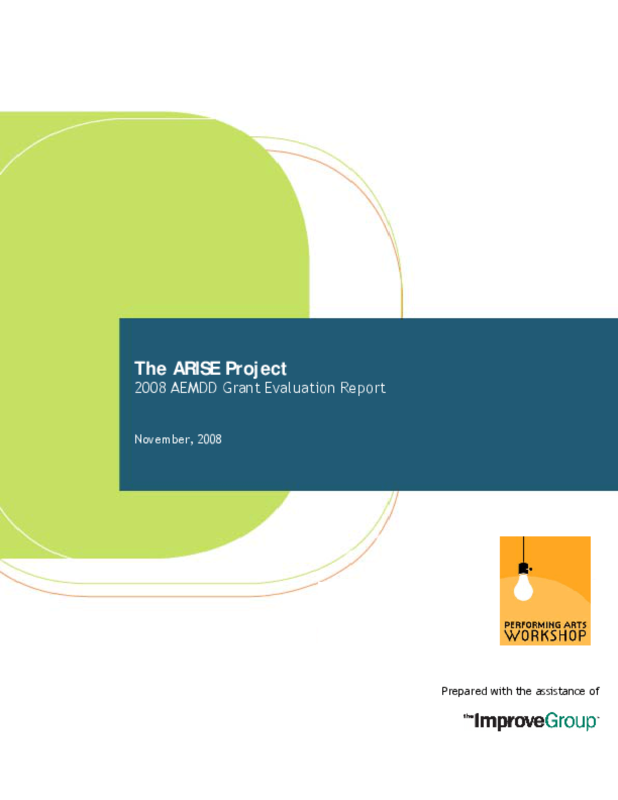 In the 2007-08 school year, the Workshop provided ARISE residencies to 24 classrooms from five schools within the San Francisco Unified School District.